Free program but you must make a reservation. Space is limited. Space is limited to forty participants. Contact JASNA-DC with the subject line Study Day Reservation. $15.00 box lunches are available to participants. Please ask about how to order using Paypal. 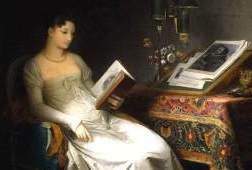 Welcome to the Washington, DC region of the Jane Austen Society of America (JASNA), a nonprofit organization dedicated to the appreciation and enjoyment of the works of English writer Jane Austen (1775-1817). © 2019 Jane Austen Society of North America - Washington D.C. Region. All rights reserved.